This article is about the Polish town. For other uses, see Rumia (disambiguation). 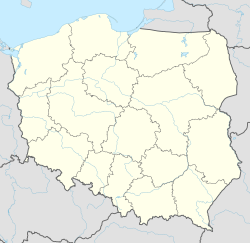 Rumia [ˈrumʲa] (Kashubian/Pomeranian: Rëmiô, German: Rahmel) is a city in the Eastern Pomerania region of north-western Poland, with some 45,000 inhabitants. It is a part of the Kashubian Tricity (Rumia, Reda, Wejherowo) and a suburb part of the metropolitan area of the Tricity. It has been situated in the Wejherowo County in Pomeranian Voivodeship since 1999; previously it was in Gdańsk Voivodeship (1975–1998). Traditionally, Rumia is related to Kashubia. It is connected by well-developed railway and highway connections to the Tricity, an urban agglomeration of over 1 million inhabitants on the coast of Gdańsk Bay. The village of Rumia (then Rumina) was first mentioned in 1224 when it was awarded by Swantopolk II, later duke of Eastern Pomerania to the Cistercian convent in Oliwa (today part of Gdańsk). The name of Rumia was applied also to the neighbourhoods of Janowo and Biała Rzeka. In 1285 Mestwin II, duke of Pomerania stopped here to issue official documents. It fell to the State of the Teutonic Order in 1309 according to the Treaty of Soldin. Rumia was part of the Pomeranian Voivodeship of the Polish Crown from 1466 until the first partition of Poland in 1772, when it was annexed by the Kingdom of Prussia. It belonged to the province of West Prussia inside the Kingdom of Prussia until 1871 when it also became part of the unified German Empire. In 1905 the village of Rahmel had 760 inhabitants. 579 of them were Germans and 180 were Kashubian or Polish. It was a German language island in a predominantly Slavic speaking region. At the end of World War I, Rumia became a part of the new Pomeranian Voivodeship of the newly re-established Polish state. In the late 1920s, the nearby village of Gdynia was developed into a city and one of the biggest seaports in the region - especially due to its strategic location in the Polish Corridor, to which Rumia also belonged. Rapid growth of the city of Gdynia prompted the price of land to increase. Labour migrants from other parts of Poland began to settle in the region including village of Rumia and its vicinity. Zagórze, Kazimierz and Łężyce, which are today parts of Rumia, were originally separate villages, and were joined with Rumia in 1934 to form the Rumia Rural Commune. By 1934, Rumia had become a suburb of Gdynia (population of 12,000 in 1939), located approximately 10 km (6 mi) from the city centre and well-connected with it through a railway link. A small military airfield, home of two squadrons of the Coast Defence Escadrille (based in Puck) was opened to civilian planes on 1 May 1936. The airport serviced international route Gdynia-Copenhagen and domestic route Gdynia-Warszawa and by 1 January 1939, the number of passengers using it rose to over 3000 a year. The airfield was also the main base of the Gdynia-based glider club. During the German invasion of Poland in 1939, Rumia was a site of heavy fighting. It was a flanking position of the main Polish defence line at Kępa Oksywska. Two military cemeteries are located in the area. Soldiers of the 207th Infantry Division (Wehrmacht) and SS members murdered 18 people in Rumia 11–12 September 1939. During World War II, the town was occupied by Nazi Germany, which annexed it to province of Reichsgau Danzig-West Prussia and renamed it to Rahmel. In September and October 1939, SS and SD terrorized ethnic Polish and Jewish population. Most of the victims were either executed at a nearby mass execution site in Piaśnica or sent to Stutthof concentration camp. Approximately half of the pre-war inhabitants of the town were expelled in 1940 and 1941, mostly to the General Government. The town was also a place of internment for several thousand POWs, mostly from the United Kingdom, France and Italy. A forced labour camp and an aircraft assembly plant were located in the town's vicinity. In 1945, shortly before the town's liberation by the Red Army, the local airfield was destroyed by an RAF bombing raid. 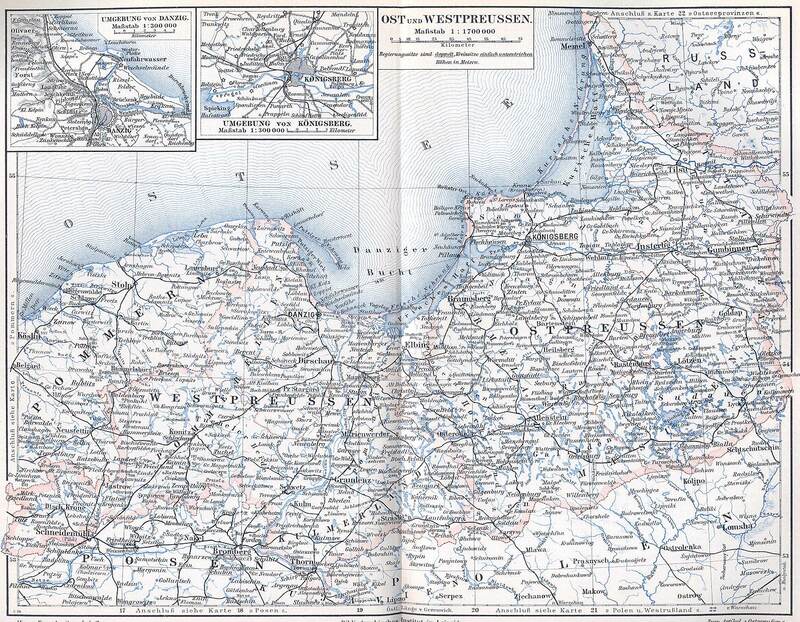 In 1945, the town was transferred back to the once again reestablished Pomeranian Voivodeship. Rumia became a city in 1954 when a few other villages (Zagórze, Biała Rzeka, Szmelta and Janowo) were joined in. In 2001, nearby village of Kazimierz was also included into city of Rumia. Rumia is well connected through a 2-lane highway that leads from Wejherowo to Gdynia and from there by Circular Highway to Gdańsk. There is a plan to extend the Circular from Gdynia to beyond Wejherowo. The Szybka Kolej Miejska (Urban Fast Train) makes two stops in the city, connecting it to Wejherowo, Gdynia, and beyond. The stops are Rumia and Rumia Janowo. There is also network of city buses that also offers connections to Wejherowo and Gdynia. Wikimedia Commons has media related to Rumia. ^ Gemeindelexikon für die Provinz Westpreussen: auf Grund der Materialien der Volkszählung vom 1. Dezember 1905 und anderer amtlicher Quellen (Berlin 1908), p.90-91.